Bed bugs are parasitic insects that feed on blood. The term is used loosely to refer to any species of the genus Cimex, and even more loosely to refer to any member of the family Cimicidae (cimicids) The common bedbug, Cimex lectularius, is the most infamous species of the family and prefers to feed on human blood. The name of the "bed bug" is derived from the insect's preferred habitat of houses and especially beds or other areas where people sleep. Bed bugs are mainly active at night, but are not exclusively nocturnal and are capable of feeding on their hosts without being noticed. A number of adverse health effects may occur due to bed bug bites, including skin rashes, psychological effects, and allergic symptoms. Diagnosis involves both finding bed bugs and the occurrence of compatible symptoms. Bed bugs have been known as human parasites for thousands of years. At a point in the early 1940s, they were mostly eradicated in the developed world, but have recently increased in prevalence since 1995. 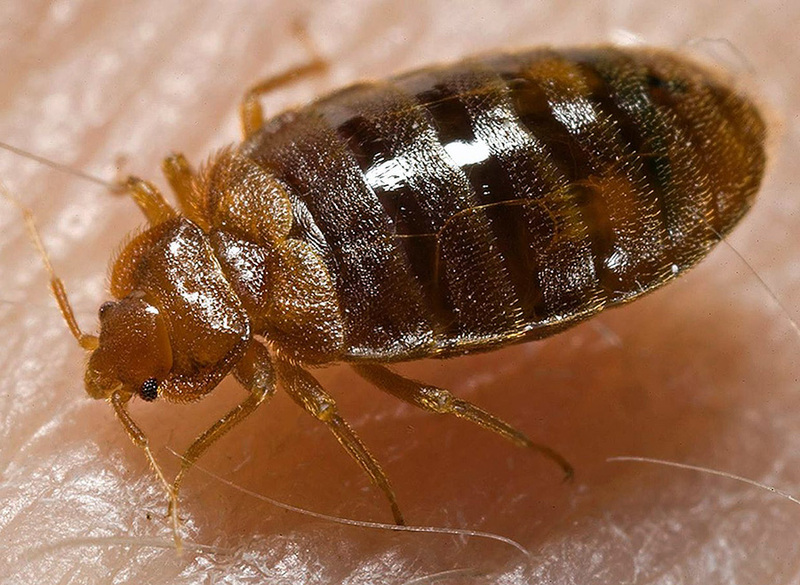 Because infestation of human habitats has been on the increase, bed bug bites and related conditions have been on the rise, as well. Bedbugs do not fly, but they can move quickly over floors, walls, and ceilings. Female bedbugs may lay hundreds of eggs, each of which is about the size of a speck of dust, over a lifetime. Immature bedbugs, called nymphs, shed their skins five times before reaching maturity and require a meal of blood before each shedding. Under favorable conditions the bugs can develop fully in as little as a month and produce three or more generations per year. Although they are a nuisance, they do not transmit diseases.